Thus far, the 21st century has been pretty disappointing for those of us who grew up expecting flying cars, teleportation devices and recreational trips to the moon by the time we were adults. While there were some things sci-fi films like Back to the Future got right – including video calls, flat-screen televisions, wearable technology and biometrics – nobody short of a billionaire villain type actually has a robotic butler that can bring them food at the push of a button. 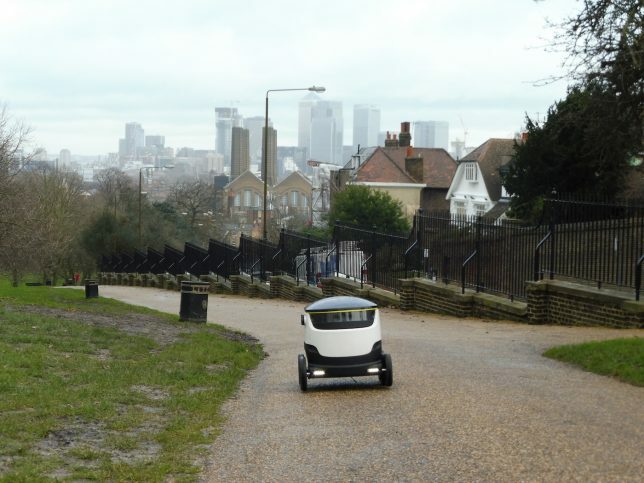 But if you live in London, you will soon be able to access the next best thing: dinner delivery via a six-wheeled droid. 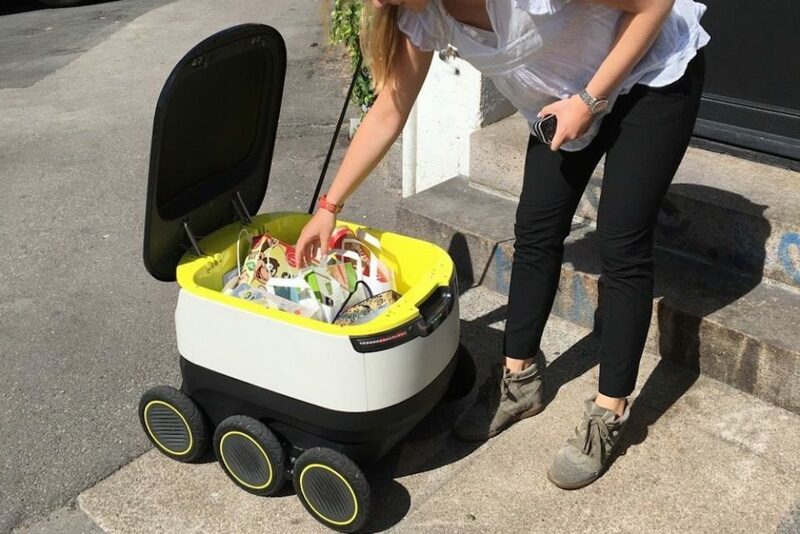 Starship Technologies, which is run by two Skype co-founders, is partnering with London food delivery startups Just Eat and Pronto to send what essentially look like wheeled coolers through the streets, dropping off meals to customers within a 2-3 mile radius. Commercial tests will also be carried out in Dusseldorf, Germany, and in Starship’s home city of Tallinn, Estonia starting this month. 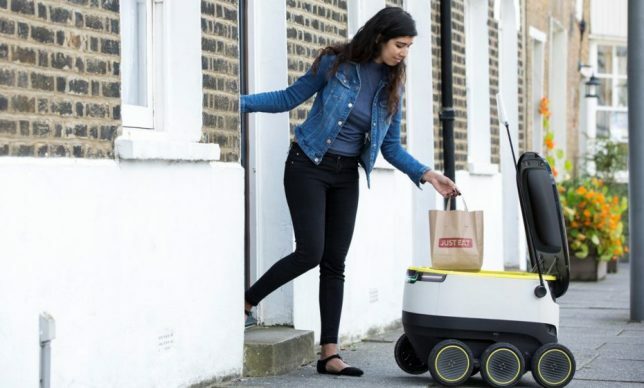 This is on top of 5,000 miles of previous testing in places like Glastonbury, where the bots have “met over 400,000 people without a single accident,” but this is the first time they’ll be delivering food to actual paying customers. Starship is expected to announce rollouts in the U.S. in the coming months. Is it really the next best thing to a robot butler, though? 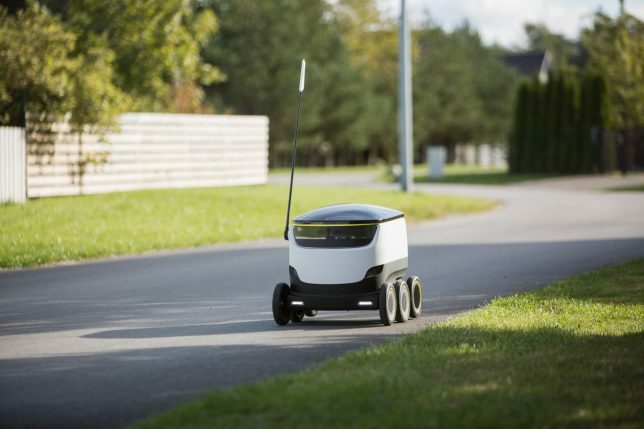 The first question that pops into many people’s heads when reading about this technology is whether somebody can just kick that self-driving droid around a little bit and steal your food for themselves. It’s a fair question. Starship says for these first test drives, the bots won’t be fully automatic – the company will monitor their progress remotely and take over if anything goes awry. 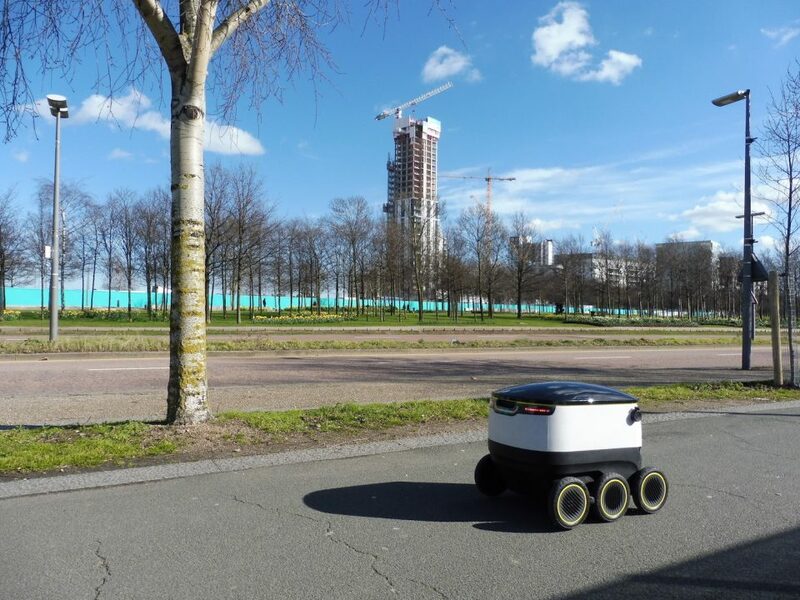 The zero-emissions delivery bots sense obstacles in their path and navigate around pedestrians, getting out of the way as necessary, as seen in the video above. Not just anyone can access what’s inside, either. 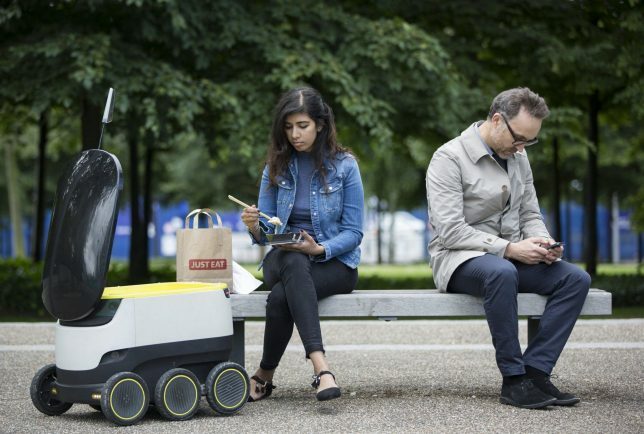 The customer who ordered the food has to use an app on their phone to open it, ensuring that the robot doesn’t just roll up to somebody else who lives in your apartment building and give them your pad thai.